Jiu Wan was born in Foshan, Guangdong Province, China, the same city as Yip Man. Jiu Wan learned Wing Chun starting at the age of eight under Jiu Jow (his uncle) and also Chan Yu Min, son of Chan Wah Tsun. Jiu Jow learned from Chan Wa Tsun who was 5th generation and also his son, Chan Yu Min, too. Yip Man’s SiFu was Chan Wa Tsun but he also learned from Leung Bik, son of Leung Jan. He also started at a young age but did not learn from Chen Yu Min, the son. 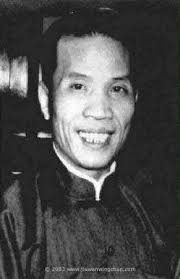 Chen Wa Tsun was a very good fighter and being the teacher of both Yip Man and Jiu Jow they were known for their great fighting skills. 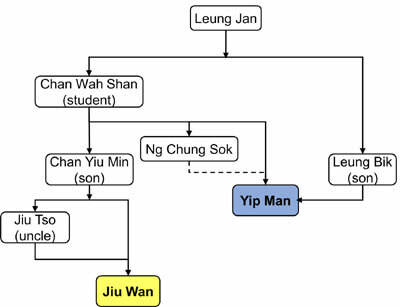 The lineage is that Yip Man was 6th generation and Jiu Wan was 7th generation. In those years in Foshan both men were officials in the Police Department. Yip Man came to Hong Kong in the early 1940s and learned more about Wing Chun from Leung Bik, who was the son of Leung Jan and classmate of Yip Man’s SiFu,Chan Wah Shun. Apparently, Yip Man learned to understand the theory of the Wing Chun that was underlying the fighting skills that he had mastered earlier. When he was reunited with Jiu Wan in Hong Kong Yip Man’s Wing Chun was very different from what Jiu Wan had known. Yip Man introduced to Jiu Wan what he learned from Leung Bik. 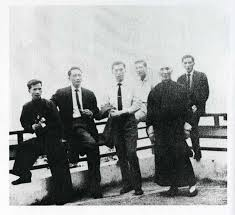 In the early years Yip Man’s students were members of the Restaurant Worker’s Association among them being Leung Sheung, his first disciple, Jiu Wan, his third disciple as well as Yip Bo Ching, Wong Shun Leung, Lok Yiu and Chu Shong Tin. Jiu Wan studied with Yip Man all the way until Yip Man’s passing. They were from the same home town and were very close friends. The only Wing Chun school that Yip Man ever officially authorized for any of his students was for Jiu Wan’s school. Yip Man even placed his signature on the sign over the school with the words, “The Traditional Wing Chun”. Yip Man and Jiu Wan would socialize together in the evenings and at dinner for many years. The first generation students of Yip Man were not on the same social level as Jiu Wan was with Yip Man and as such there was not much contact with those other students. Jiu Wan passed away at age 52 one year after Yip Man died. History has shown us that Jiu Wan had a lot of students and they have gone on to be very distinguished not only in Wing Chun but also in other professions such as members of The Police Department including Detectives and Chiefs of Police as well as Movie Directors, Movie Actors and other officials in Hong Kong and all over the world. Jiu Wan’s son, Jiu Hung Quin, teaches now as his father taught him. In addition, Jiu Wan’s main student instructor was Guy Lai, his second disciple, during those years. The first disciple did not stay that long and did not teach. Another disciple is in Canada now, Fred Kwok, and notably Francis Fong in Johns Creek, Geogia. 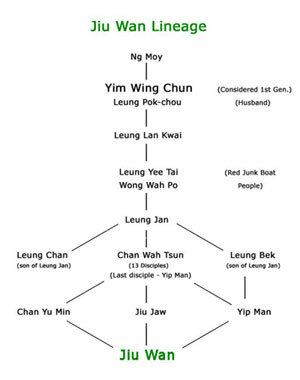 The history of our branch of the Wing Chun family begins in the Shaolin temple, but the legacy of Ng Mui and Yim Wing Chun is well known and will not be repeated here. We will start with what little is known of Chan Yu Mim, son of Chan Wah Soon (Chow Chin Wah), the head of the Wing Chun clan in the mid-1800's. As is oft repeated, Yip Man was the youngest student of Chan Wah Soon and the last grandmaster of a unified Wing Chun family. But Master Chan Wah Soon had other students and disciples as well. One of these students was his son, Chan Yu Mim. Said to be most famous for his abilities with the six-and-a-half point pole, Chan Yiu-Min earned the title of Chut Sang Gwun Wong (Qi Sheng Gu Wang, King of the Pole of Seven Provinces) by defeating all challengers in a great tournament. The trophy, an engraved pole as thick as an arm, was said to have been hung above the door of his own school. According to the Chan family, Chan Yiu-Min was also known by the nickname Kwai Sao Min (Gui Shou Mian, Ghost Hand Min). Chan Yiu-Min taught several students during his career, including his sons Chan Ga-Wing, Ga-Chai, and Ga-Lim. He also taught Jiu Chao and, in some accounts, Jiu Wan as well. Jiu Chao (Zhao Jiu) learned Hung Ga boxing and other systems before studying Weng Chun Kuen and osteopathy from Chan Wah-Shun's son, Chan Yiu-Min. Several accounts suggest he worked in law enforcement for a time alongside his junior martial uncle, Yip Man and took the opportunity to practice with him as well. 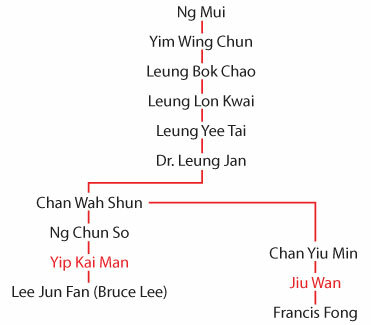 Among his students were several other members of the Jiu family, including his nephew, Jiu Wan (Chu Wan), as well as Wong Jing, Gao Jeung, Kwok Sing, Pan Nam, and others. Jiu Chao passed away in Zhongshan in 1972. One of his students was Jiu Wan (Chu Wan). Jiu Wan had many students and even taught a couple of movie stars in Hong Kong. In his youth in Fatshan, China, he studied Wing Chun from his cousin (literally his father's elder brother's son] Jiu Tong, who is in the same lineage as Wing Chun Master Yip Man. Later, because he was quick to understand the martial arts, Jiu Wan established his own Wing Chun school in Fatshan. After the Communists took over China, Jiu Wan left Fatshan for Hong Kong where he met with Master Yip for continued advanced study. Since, as it is said, "There can be no two teachers in the same style" or in other words no two teachers equal in skill, in his twenty years of following Yip Man, Jiu Wan always deferred to Yip Man as the head of the Wing Chun clan. Jiu Wan emphasized practice sparring because Wing Chun doesn't have many forms and, in general, doesn't take too long to finish learning the system. But he also pointed out that "when you study the martial arts it should be practical, and young people in particular get easily bored. Sparring trains the reactions, and Chi Sao can help students understand the main points of the system. Diligently practicing chi sao drills gets better results than any complicated explanation." "With sparring, a student can both increase their confidence to face an attack and give themselves a chance to use the offensive and defensive movements they have learned in order to protect themselves." Grandmaster Yip Man, before he died, presented Jiu Wan with a plaque on which was written the four words "Wing Chun Jing Tung" which means "Wing Chun the Pure Tradition," thus recognizing the achievements of a true Wing Chun master. 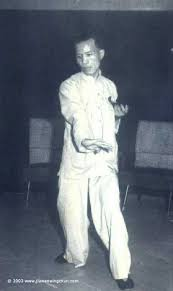 Jiu Wan was the only person thus recognized by Grandmaster Yip Man. At the time of his death in 1974, Jiu Wan was unofficially recognized as the new Grandmaster of the Wing Chun family in Hong Kong. He died leaving a great legacy carried on by his many students. There are currently three of Jiu Wan's first generation students who teach in the suburbs in Atlanta, Georgia---Jason Lau, is located in Smyrna, Ga, at the Jason Lau Wing Chun Kung Fu Training Center; Richard Chen instructs students in Chamblee, Ga., and Francis Fong teaches from his school, the Francis Fong Martial Arts Academy, located in Johns Creek, Ga. There are other Wing Chun instructors located in Atlanta but not from the first generation of the Jiu Wan branch of Wing Chun Kung Fu. The Francis Fong Martial Arts Academy has issued a number of black sash certifications to individuals over the years. The Academy has also produced sixteen disciples. The first disciple is Steve Bacastow, named "Jade Dragon"; second is Wah Lun Syn, named "Jade Tiger"; third is Charles Thawley, named "Powerful Bear", and the others were Robert Brooks, Gregg Hamilton (deceased), Peter Kwok, Randy Hewitt, Ali Mohajar, Denton Bragg, Mary Ann Bragg, Andy Peck, Ellen Teeter, Bruce Jolly, Lance McRorie, and Samuel Cushman. Ti Lung [Tommy Tam Fu-Wing], a martial art movie actor, is the student of Jiu Wan Sifu, a respected elder of Wing Chun. Ti Lung has been popular for a long time and, like all movie stars, his story has created a lot of gossip. But there are few articles about how he learned Kung Fu. Readers may know that both Bruce Lee and Ti Lung practiced the Wing Chun style. In fact, before he entered the movie business, Ti Lung was already a favored student of Jiu Wan. Although now a celebrity, he still respects Jiu Wan as a teacher and continues to practice and visit with him. Jiu Wan Sifu is very humble and never talks about himself, therefore very few newspaper and magazine articles have been written about him. So who is Jiu Wan and what kind of person is he? Jiu Wan, in his youth in Fatshan, China, studied Wing Chun from his cousin [Editor's note: literally his father's elder brother's son] Jiu Tong, who is in the same lineage as Wing Chun Master Yip Man. Later, because he was quick to understand the martial arts, Jiu Wan established his own Wing Chun school in Fatshan. 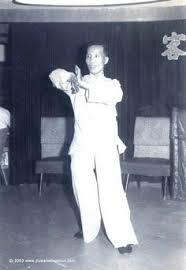 He developed a friendly relationship with Yip Man at this time, and became his personal student. After the Communists took over China, Jiu Wan left Fatshan for Hong Kong where he met with Master Yip for continued advanced study. Since, as it is said, “There can be no two teachers in the same style” or in other words no two teachers equal in skill, in his twenty years of following Yip Man Jiu Wan has always treated Yip Man as his master. Jiu Wan Sifu never tires of improving his skill. Whenever he has time during the day he goes to learn about his Chi Sao techniques from Master Yip, sometimes practicing until very late at night. Therefore his skill is always improving and his dedication should be a model for the younger generation. Recently Jiu Wan established a school to teach Wing Chun and spends a lot of energy training new students. Very seldom does he openly demonstrate his Kung Fu techniques to the public. Only once, years ago at Master Yip’s birthday party, Master Yip asked him to demonstrate the Chum Kiu form of Wing Chun and everyone in the audience was very impressed. Jiu Wan, when talking about his movie star student Ti Lung, says, “He is a very good student of the martial arts. He has the advantages of a strong body, intelligence, good footwork and he also practices diligently.” Although lately seldom able to attend the school, Ti Lung always strives to improve his martial arts skill and Jiu Wan has already given him his certification. When Jiu Wan teaches he emphasizes practice sparring. He explained that Wing Chun doesn’t have many forms and, in general, doesn’t take too long to finish learning the system. But when you study the martial arts it should be practical, and young people in particular get easily bored. Sparring trains the reactions, and Chi Sao too can help students understand the main points of the system. Diligently practicing these drills gets better results than any complicated explanation. With sparring, a student can both increase their confidence to face an attack and give themselves a chance to use the offensive and defensive movements they have learned in order to protect themselves. Master Yip Man, before he passed away, presented Jiu Wan with a plaque on which was written the four words “Wing Chun Jing Tung” which means “Wing Chun the Pure Tradition.” With his skills thus recognized, and teaching his students in a dignified manner, Jiu Wan Sifu has no regrets. Though a teacher to the stars and a martial arts senior, Jiu Wan is humble and polite. He does not depend on his own high skills but joins with the young as both teacher and friend. His skill and thoughts should be a model for the modern martial art practitioner. Jiu Wan Sifu was the Sifu of Grandmaster Jason Lau. In his youth in Fatshan (Foshan), China, he studied Wing Chun from his cousin Jiu Tong, who is in the same lineage as Wing Chun Master Yip Man. Later, because he was quick student, Jiu Wan established his own Wing Chun school in Fatshan. He developed a friendly relationship with Yip Man at this time. After the Communists took over China, Jiu Wan left Fatshan for Hong Kong. Jiu Wan Sifu never tired of improving his skill. 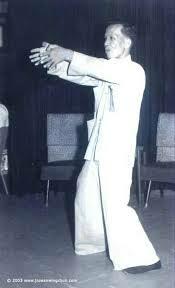 Whenever he had time during the day he often went to practice his Chi Sao, many times with Gandmaster Yip Man. Very seldom did he openly demonstrate his Kung Fu techniques to the public. 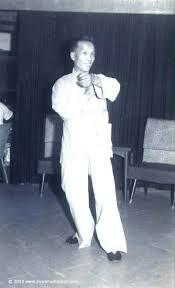 Years ago at Grandmaster Yip Man's birthday party, Master Yip asked him to demonstrate the Chum Kiu form of Wing Chun and everyone in the audience was very impressed. He always said: "Being a teacher is not that simple. Teaching should be like a parent and child relationship, with constant attention to the student's conduct. When a mistake is made it should be corrected. That is the real meaning of teaching a martial art, and is good for both teacher and student." "The young are always full of energy, and rebel against traditional thinking. I also had the same feelings, but young people often react emotionally and cause themselves problems." "I absolutely disapprove of fighting," Jiu Wan Sifu also said, "because whatever method you try to find for a solution, fighting only makes things worse and is not the way to get results. But when a mistake is made, don't blame yourself too harshly, just treat it as a learning experience and strive to do better in the future." "This is very easy to say, but hard to do - but being a teacher is a big responsibility." Jiu Wan Sifu compared the Wing Chun style is like a puzzle - hard to understand even over a lifetime of study. No one should say they are successful, and he says, "As for myself, I only understand a little bit." When Jiu Wan taught, he emphasized practice sparring. He explained that Wing Chun doesn't have many forms and, in general, doesn't take too long to finish learning the system. But he also said that when you study the martial arts, it should be practical, and young people in particular get easily bored. Sparring trains the reactions, and Chi Sao too can help students understand the main and finer points of the system. Diligently practicing these drills gets better results than any complicated verbal explanation that a teacher can give. With sparring, a student can increase their confidence in their ability to face an attack, and also give themselves a chance to use the offensive and defensive movements they have learned in order to protect themselves. Grandmaster Yip Man, before he passed away, presented Jiu Wan (seen together at right) with a plaque on which was written the four words "Wing Chun Jing Tung" which means "Wing Chun the Pure Tradition." With his skills thus recognized, and teaching his students in a dignified manner, Jiu Wan Sifu had no regrets. Although a teacher to the stars (his student Ti Lung is a Hong Kong movie star) and a martial arts senior, Jiu Wan was humble and polite. He did not depend on his own great skills, but joined with the young as both teacher and friend to them.